This week was a short one in Springfield, as the winter weather cut short the first week of floor votes and House Committee action. Wednesday’s temperatures plunged into the negative 20+ degrees in Southern Illinois and as low as more than -50 degrees below zero in Chicago! Although the legislative week was shortened due to the weather, there was a significant move made by Illinois House Democrats on the issue of parliamentary procedure. These kinds of things can get a bit “in the weeds” for the average person that isn’t familiar with the way the House does it’s business, but I have taken the time to explain in detail why “The Madigan Rules” matter to you and to all of the people of the State of Illinois in my press release below. We’ll do a quick wrap up on this week’s news and then preview Monday’s upcoming Town Hall meeting with my colleagues State Representative Terri Bryant and State Representative Patrick Windhorst. WE HOPE TO SEE YOU THERE. God bless you and may God continue to bless the State of Illinois and the United States of America. 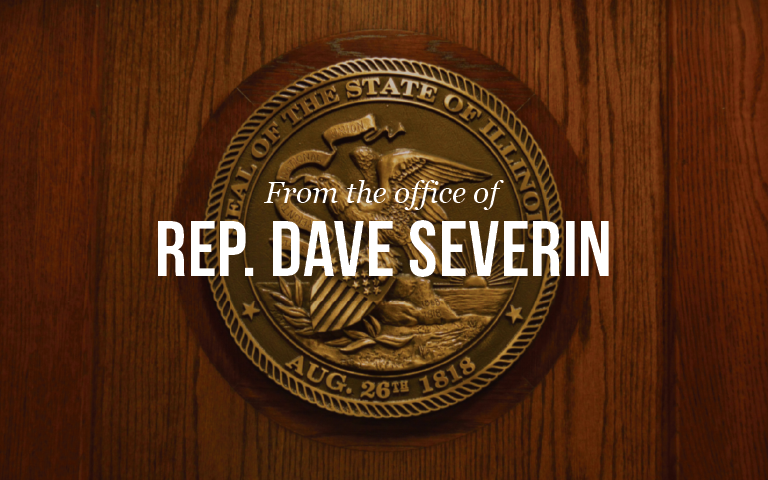 Springfield….On the first day for floor votes in the 101st General Assembly, 117th District State Representative Dave Severin (R-Benton) voted no on a proposal he says gives Mike Madigan total control over the legislative process. Severin and all other House Republicans voted no on HR 59, which establishes the parliamentary rules by which the chamber will operate for the 101st General Assembly. Severin, a 2nd term State Representative, says he learned quickly during his first term that Speaker Madigan wields enormous power over the legislative process. Severin says he is disappointed that efforts made by Republicans to alter Madigan’s proposed House Rules would allow for more public input were ignored. Marion….Terri Bryant, Dave Severin, and Patrick Windhorst will host a legislative town hall and listening session in Marion on Monday, February 4, 2019. The Representatives will make themselves available to discuss their own legislative agendas, their thoughts on actions taken during the first weeks of the Pritzker administration, and take questions from audience members. A survey will be provided to attendees covering these topics and others like legalized recreational marijuana, immigration, and infrastructure needs.